Here, in this article, we will discuss some of the Best WordPress GDPR Compliance plugins. But before we move on to the list, let’s go through some of the FAQs that will make you more clear what is GDPR and why it is necessary to have your WordPress website GDPR compliance. The General Data Protection Regulation (GDPR) is a European Union (EU) law that has come to the effect from 25th May 2018 for providing the protection to the user data. What is the main goal of GDPR? The main goal of GDPR is to give EU citizens full control over their personal data and change the data privacy approach of the organization around the world. Since the main goal of GDPR is to protect the personal identity information of users for holding the online businesses to its highest standard. You must provide consent checkboxes for the approval of the users on the places where you collect, store and use their personal data. The personal data of the users may include their Name, Email Address, Location, IP Address, Income, etc. What are the consequences if a website is not GDPR compliance? If a website is not compliance with GDPR requirement then, they are likely to face a heavy penalty of 4% of their annual global revenue or € 20 million. Does GDPR law apply to WordPress website? Yes. It applies to every platform that will let you create the website. What can you do to make your website GDPR compliance? If you are a WordPress user, then the task is very simple for you. Just install the WordPress GDPR compliance plugins that can be found on the internet. If your online business is small scale then, you can download and use the lite version of the GDPR plugin with the basic features. However, if your website working for a large scale business then, you can purchase the premium version of the GDPR plugin with advanced features. Now let’s talk about some of the best WordPress GDPR plugins that we have collected for making your website compatible with the newly launched GDPR law. 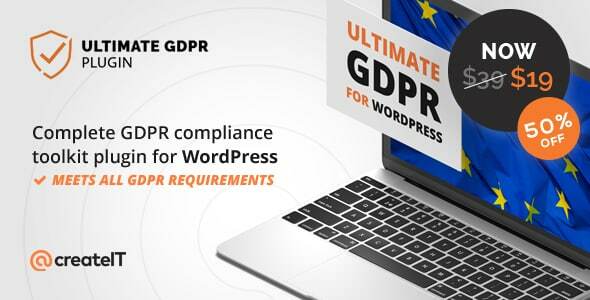 They are well tested and comes with different types of features and functionalities for making your WordPress website GDPR compliance in a few minutes. Total GDPR Compliance is a premium WordPress plugin that provides the all in one GDPR solution for your WordPress website. Built keeping all the GDPR compliance laws and rules in mind, this plugin will make your site compatible with all the existing GDPR regulation in few clicks. Total GDPR Compliance is an ultimate plugin that contains many useful functionalities for keeping your website secure from validating the GDPR laws. Moreover, the plugin is highly configurable and allow you to add different security checkboxes before accepting the user data. Ultimate WP GDPR Compliance Toolkit is a premium WordPress plugin for making your website GDPR compliance in few minutes. The plugin meets all the GDPR requirements and will keep your WordPress website safe and secure from validating the newly launched data protection rule. 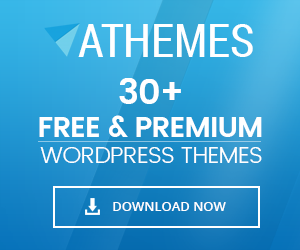 It is a flexible plugin that is integrated with the most popular WordPress plugins such as WooCommerce, Contact Form 7, Gravity Forms, Mailchimp, Events Manager, BuddyPress, and Formidable Forms. Therefore, you can easily add the Consent checkbox on these plugin before accepting the personal information from your users. Ninja GDPR Compliance is a premium GDPR compliance plugin for your WordPress website. It comes with easy setup and configuration options and will make your website GDPR friendly in less than 1 minutes. It is an ultimate plugin that follows 7 key requirements for GDPR compliance such as Cookie Consent, Right to be forgotten, data access and many more. Moreover, the plugin is compatible with other third-party plugins like WooCommerce, Contact Form 7, Gravity Form, MailChimp, Google Analytics and many more. 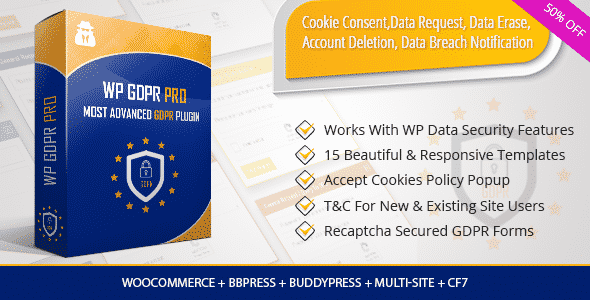 WP GDPR Compliance Suite is a premium WordPress plugin that provides the comprehensive all in one set of tools that will help you to make your WordPress website GDPR compliant. It consists of 15+ modules for making any types of WordPress website GDPR compliance. It is an easy to use plugin that is compatible with different types of third party plugins. Moreover, you can insert various term and condition buttons to make your website GDPR friendly. WP GDPR Pro is a WordPress GDPR plugin to make your website GDPR compliance. It can create DPO forms so that, users can submit the various request for their personal data. Then, the site admin will manage all the requests from the backend of their WordPress website. It is a perfect plugin to make your WordPress website compatible with all the GDPR rules and regulation. The plugin includes different options such as cookie consent, delete my account form, request data form, erasure data form, and data breach notifications. These are some of the most famous WordPress GDPR plugins that we have handpicked. They come with different features and functionalities for applying various steps to make your WordPress website GDPR compliance. So, if you still have not made your website follow the GDPR rule then do it right now purchasing any of the mentioned and escape the heavy penalty. Hey Buddy!, I found this information for you: "5+ Best WordPress GDPR Compliance Plugins". 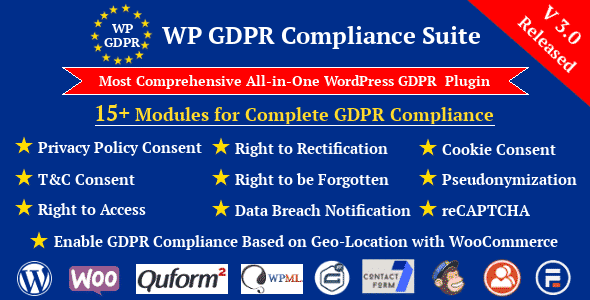 Here is the website link: https://wpallclub.com/best-wordpress-gdpr-compliance-plugins/. Thank you.